The old expression “no teeth – no horse” couldn’t be truer. Oral health is essential to the general health of all horses. Horses have evolved to hide pain and as a consequence often show little or no symptoms of even quite severe dental problems. 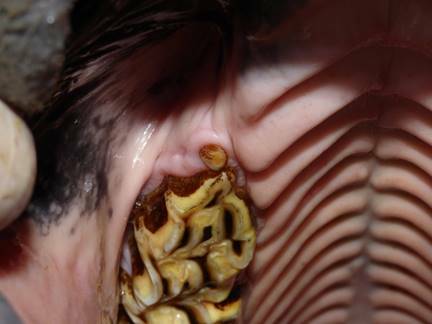 Many horses have undiagnosed dental pathology which can develop into painful conditions if left. A detailed oral examination is required to identify these and this often requires sedation to carry out safely and completely. 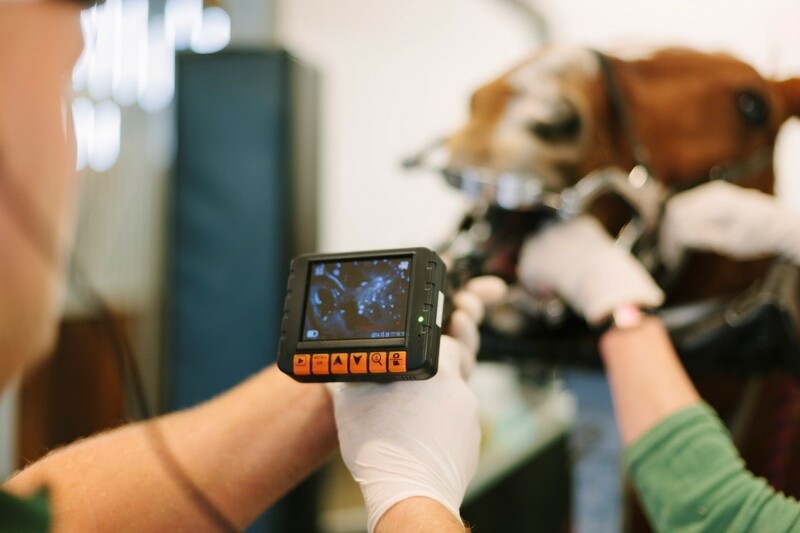 All of our equine vets have an interest in equine dentistry and have undertaken further training in this important area. They all carry up to date modern equipment and mirrors to allow full examination. These sharp points can cause discomfort during ridden exercise or ulceration of the cheeks and tongue causing difficulty or pain during chewing. Most but not all horses require an annual rasp to remove the sharp points that develop naturally at the margins of the cheek teeth over time as the teeth a worn down. Young horses, competition horses or those with dental disease may require treatment more frequently. Wolf teeth are vestigial teeth that usually sit just in front of the first cheek tooth in the upper jaw and occasionally the lower jaw. They vary in size and position and depending on this can interfere with the bit. Not all wolf teeth cause a problem but we recommend removal of them in any horse showing signs of bit resentment, wolf teeth that are identified prior to bitting in a young horse or those that sit away from the cheek teeth into the bars of the mouth where they are likely to cause a problem. “Blind wolf teeth” are un-erupted, usually being found underneath the gum in the bars of the mouth. These are commonly problematic and extraction is nearly always advised. Lower jaw wolf teeth are rare but in most cases will cause bitting issues and for this reason are almost always removed when identified. 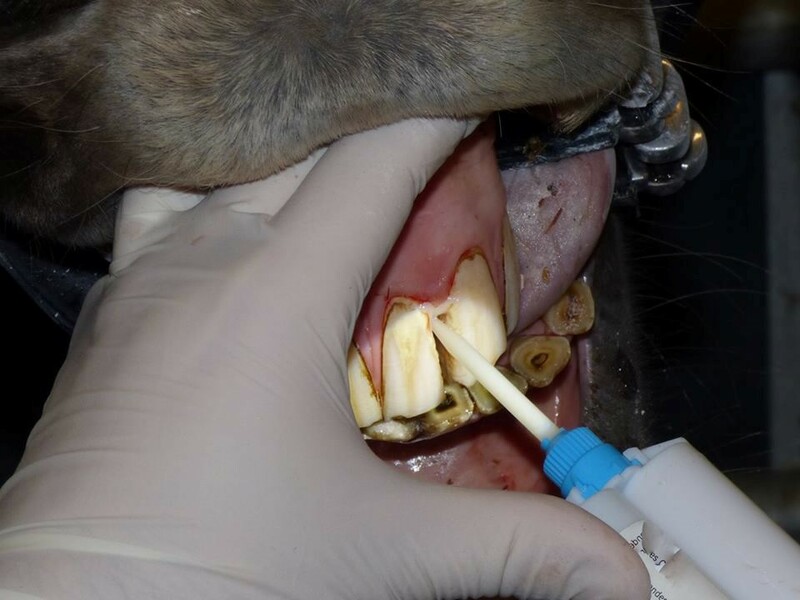 In most cases wolf teeth extraction can be performed in your horses stable under sedation and local anaesthesia. It is worth noting that legally, only a vet can sedate a horse and extract wolf teeth. 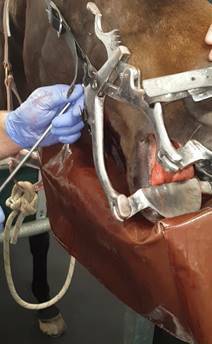 Coombefield Equine department is able to offer specialised treatment options for many more complicated dental conditions. Whether an abscessed tooth root, periodontal pocketing or temporomandibular joint disease our combination of digital radiography, ultrasound examination, video oral endoscopy and specially designed equine dental machine gives us the capacity to diagnose and treat the problem. While symptoms and treatment will be specific to each horse a few of these conditions are outlined below. 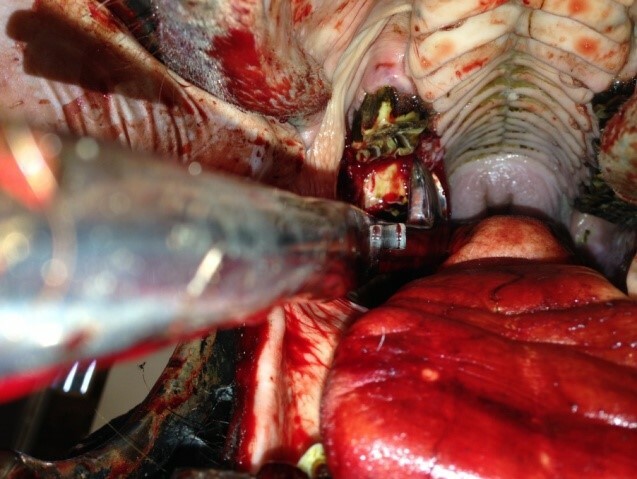 This is one of the most significant dental problems in the horse, the most common cause of “Quidding” (dropping partially chewed hay/haylage or grass) and is often overlooked. Additionally bad breath, poor response to ridden work and loss of weight/condition may be seen with this painful condition. Diastemata (spaces between the teeth) trap food material which then rots. 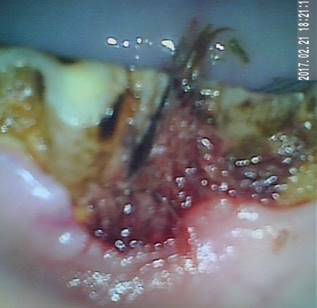 This decay causes gum disease and periodontal pocketing – a very painful condition. There are several treatment options to tackle this problem – although this is not always straightforward. 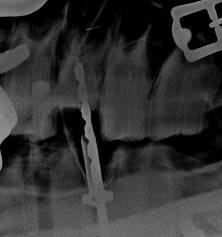 One of our vets, Stuart Altoft is among a small number of people in the UK to offer diastema widening and hard interdental bridging as a long term solution to this problem. Often presenting as a painful swelling of the jaw or smelly discharge from one nostril infection of the ooth root is often localised into an abscess. In many cases removing the infected tooth is the only treatment option. Ideally the tooth is removed orally with the horse under standing sedation but as the tooth root can be as long as 10cm this is easier said than done! 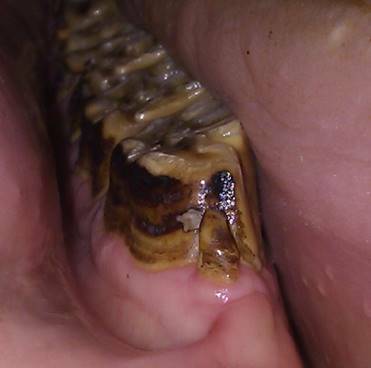 Fractured teeth can be difficult to extract but recent techniques such as this MTE extraction mean these can still be removed in a sedated horse. The joint of the jaw is situated just behind the eye in the horse. Although not commonly recognised this joint can cause difficulty eating or more subtle signs such as poor performance on the bit.